Although we are already in the fall season (meteorologically speaking) we will still experience more summer-like weather this week. As you can see from our forecast above, the temperatures will be a bit cooler but still well above average for this time of year. 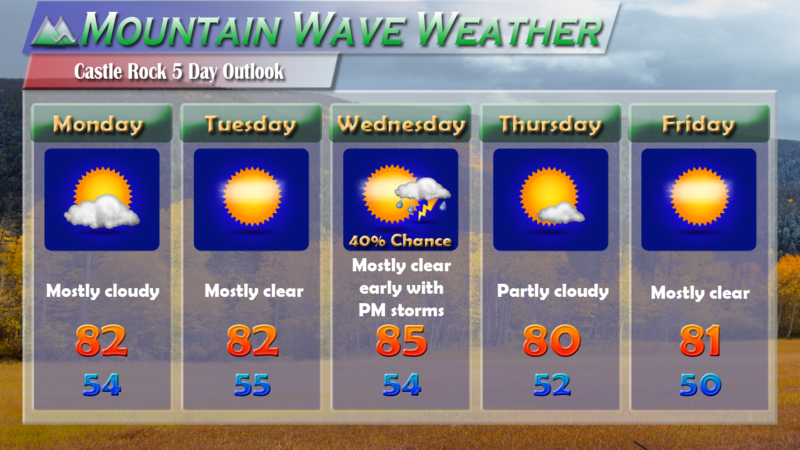 Our daytime high temperatures this week will run about 5-10 degrees above average in and around the Castle Rock area. 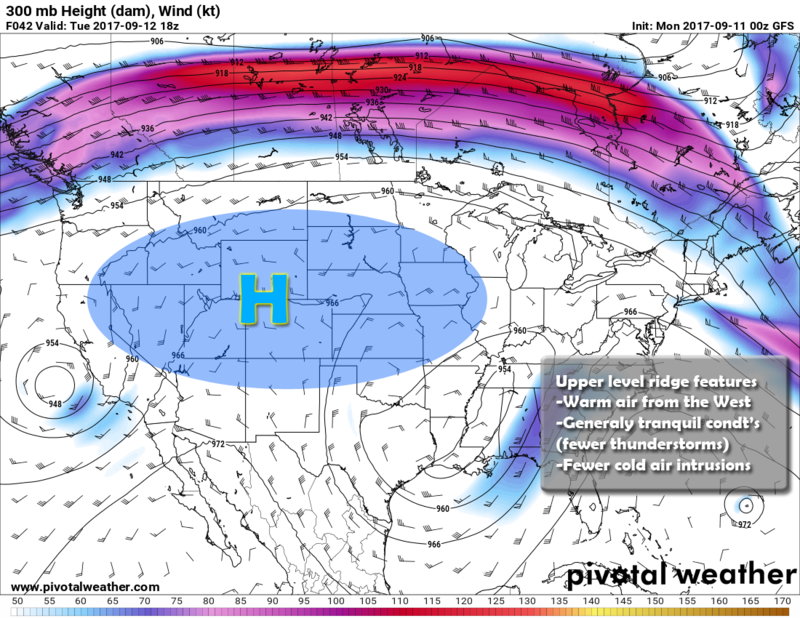 An upper level ridge is firmly anchored across the Western and Central United States. 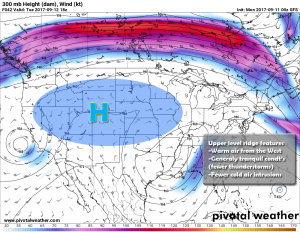 Our warm and dry weather pattern is due to a large upper level ridge of high pressure planted firmly across the West. 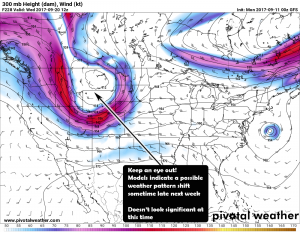 This feature will keep most large scale storm systems away but there is a slight chance storms may form on Wednesday as the ridge begins to shift a bit. All in all, expect warmer than average temperatures to continue this week, but luckily getting back into the 90’s looks unlikely. Possible weather pattern shift but doesn’t look terribly strong at this point! Looks like our warm and dry weather will continue for the next 7-10 days at least. 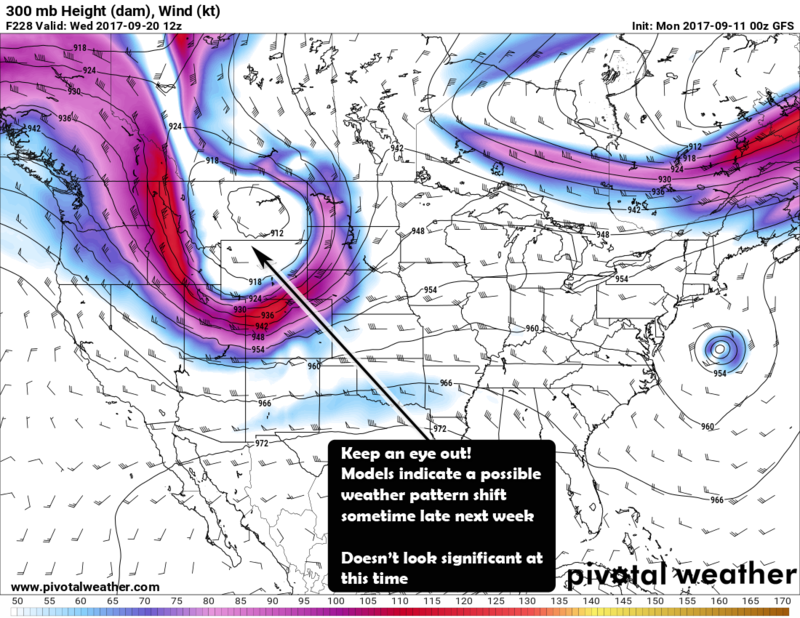 The good news is some models are picking up on a pretty decent trough forming late sometime next week. As this is still a ways out, take it with a grain of salt as to whether it materializes for anything in Colorado. Why this is significant is that it is a hint that we may have more “typical” fall weather coming in the not too distant future. We’ll keep an eye on it, for now have a great week!